If you are noticing cracks in your basement wall, rest assured, it could mean a variety of different things. Some reasons that cracks appear in basement walls are more serious than others. The most damaging type of crack is a horizontal crack that runs parallel to the ground. In many cases, these cracks form due to expanding soil that puts pressure on the basement wall and causes it to bow and crack. Pressure from surrounding soil can cause different kinds of cracks, including diagonal cracks. Diagonal cracks often run from the top of the basement all the way down to the basement floor. In addition, it is common to see diagonal cracks that run down from windows or doors, as well as ones that start in the middle of the wall. 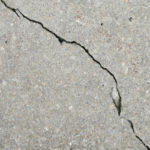 Aside from soil, other causes of diagonal cracks include foundation settling and concrete shrinkage that occurs as materials dry during the construction process. Step cracks are comparable to diagonal cracks, but they occur in concrete block basement walls. Cement shrinkage often causes foundation floor cracks, but this isn’t always a big cause for concern. If floor cracks meet up with wall cracks or if the floor crack causes displacement, it’s important to call out a professional. This may be caused by water pressure that results from a damaged drain tile or sump pump. 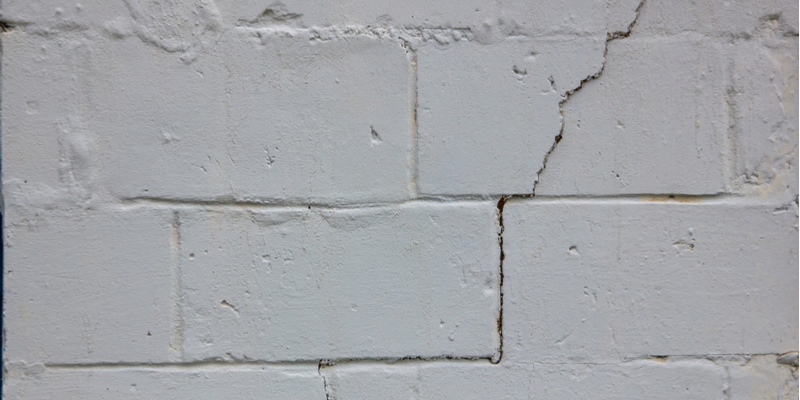 Vertical cracks move up and down the wall and can be caused by a variety of factors including shrinking materials, wall movement, or tipping walls. 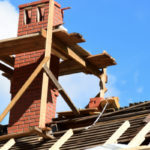 Generally speaking, vertical cracks are not a big cause for concern. UNLESS they are paired with other types of cracks, or if you notice horizontal or shear movement. Most cracks start off small and grow over time. Often, they go unnoticed until they become large enough to warrant attention. In addition, cracks tend to change with the seasons especially if you live somewhere like Toronto where the weather gets colder and freeze/thaw cycles are common during parts of the year. Water is the biggest threat of all when it comes to cracks. For instance, it causes surrounding soil to expand and put pressure on your basement walls. If the soil only fills with water and expands at certain times of the year, you may notice the cracks become smaller in size during drier weather conditions. Frozen water, aka ice, can have a similar affect. That’s why cracks are more commonly reported in the winter and spring. Later in the summer, when the weather is dry, cracks may become less visible as the soil around your home losses water and retreats back, putting less pressure on the foundation. An expert is the best judge when it comes to differentiating serious cracks vs minor cracks. There are some things you can do before calling out a professional, starting with using a laser level to measure the heat of the wall in comparison to the corner measurements for the entire basement. 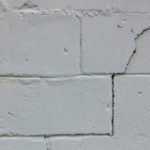 Turnbull Masonry has been repairing basement wall cracks for years. 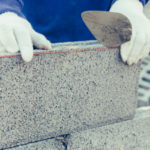 From patching cracks to installing repair beams or using rods and concrete to reinforce block walls, there are many different ways to fix basement walls. Oftentimes, the solution is less complex than you might assume. Contact us today to learn more.